Locked out of your house in the middle of the night? Your neighbors are away, you’ve got no spare on you, the locksmith you usually hire is closed for the day and there’s absolutely no one you can reach out to for help. Or is there? 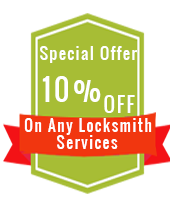 What you need is an emergency locksmith opening service that works round-the-clock and responds to such critical issues. Where will you find it? If you are a resident of San Antonio, TX area, then the answer is staring you right in the face. Choose San Antonio Lock And Safe, the community’s trusted locksmith. For more information or to hire an expert today, call 210-780-6551!